Mary Ann Silka, 62, passed away Tuesday, August 11, 2015, at Mercy Regional Heart and Vascular Center due to complications from cardiac issues. Born to Henry and Ann Reuss, she was raised in St. Charles Borromeo parish, and graduated from McAuley High School, and the University of Toledo. Mary Ann started working for the Toledo Lucas County Public Library in 1968, working in Children’s Room at Main Library in downtown Toledo. Her 35-year career with the library brought her to the West Toledo branch (where she met Ed, husband of 39 years), Reynolds Corners, and finally to Sanger Branch, where she retired in 2004. As a children’s librarian, hundreds of young people went to “Story Time” and Summer Reading Club to enjoy books, songs, crafts, games, and puppet shows. In her retirement, “Mrs. Silka” briefly worked as a Home Instructor for Toledo Public Schools. Mary Ann loved to work with her hands, whether it was sewing handbags, quilting, gardening, or just “being crafty”. She loved to entertain, whether it was Thanksgiving for six or a giant birthday party for 75. She was a parishioner at St. Pius X parish and most recently St. Patrick of Heatherdowns, singing in the choir and decorating the church for holidays. Preceded in death by her parents, Mary Ann is survived by her husband, Ed Silka; daughter, Molly Silka; brothers, Bob Reuss (Pam) of Newport News, VA, Tom Reuss (Mary Therese) of Toledo; brother-in-law, Bill Silka (Chris) of Toledo; brother-in-law, Mike Silka (Marti) of Frankfort, IL, and many nieces, nephews, and cousins. Funeral services will be celebrated Saturday, August 22nd at St. Patrick of Heatherdowns Parish, 4210 Heatherdowns Blvd., Toledo, with visitation starting at 9:00 a.m. and Mass at 10:00 a.m. In lieu of flowers, consider memorial contributions to The Toledo Zoo or charity of the donor’s choice . Wayne Leo Ferguson, age 95, died Sunday, September 20, 2015, at Rosary Care Center in Sylvania, Ohio. Wayne was born in Niagara Falls, New York on November 29, 1919, to Ethel and Louis Ferguson. Wayne enlisted in the Army a week before Pearl Harbor, December 7, 1941, and was a medic in the 30th Infantry Division. 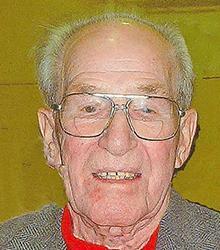 After returning home in June, 1945, he worked as a printer at Rad-Mar Press and Printers Three in Toledo, Ohio. He was a member of St. James Parish and Holy Name Society and a member of the VFW and the Catholic War Vets. Wayne is survived by his children, sons, James (Kathy), John (JoAnne), Richard (Janet) Ferguson; daughters, Sister Nancy Ferguson, OSF, Barbara (Jeffery) Cygan, Karen Ferguson; 13 grandchildren; 23 great-grandchildren and 3 great-great-grandchildren. Wayne was preceded in death by his wife, Eileen; son, Wayne; daughter, Patricia Armer; grandson, Anthony Ferguson; parents, Ethel and Louis Ferguson; stepmother, Grace Ferguson; brothers, John, Fred, Francis and Robert. A funeral mass will be celebrated on Monday, September 28, 2015, 11:30 a.m. at Our Lady Queen of Peace Chapel at the Motherhouse of the sisters of St. Francis in Sylvania, with an hour of visitation beforehand. Interment will be in Resurrection Cemetery. The Coyle Funeral Home is assisting the family with arrangements. 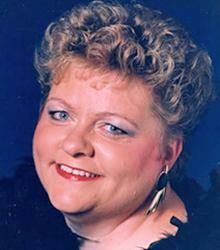 Kathleen Wernert, age 63 of Toledo, passed away on September 22, 2015. She was born to Bernard and Mary Rita Williams on March 8, 1952, in Cleveland, OH. They moved to Toledo and Katie was educated at St. Charles, Our Lady of Perpetual Help Elementary and McAuley High School, where she was the president of her Senior Class in 1970. She was a graduate of the University of Toledo where she received her degree in recreation. Katie married the love of her life, Joseph Wernert, on April 18, 1975, and together they raised three children. Katie spent her career working for the City of Toledo in Parks and Recreation Division, the Miami Children’s Home and Toledo Head Start as a paraprofessional. She dedicated her time and talents to children with special needs. She was very proud of her Irish heritage, but most of all, truly loved being a loving wife and mother. Katie was preceded in death by her parents and her brother, John “Jack” Williams and mother-in-law, Grace Mary Wernert. She is survived by her loving husband of 39 years, Joseph; children, Michael Joseph, Sean Bernard and Brigid Maura Wernert; siblings, Martin (Mary Helen) Williams, Mary Alice (James) Hoffman and Patricia Williams; sister-in-law, Julie Williams; father-in-law, John Wernert; dear to heart were her nieces, Maureen and Colleen; as well as many other nieces and nephews and her beloved dog, Riley. Friends may visit at the Coyle Funeral Home, 1770 S. Reynolds Rd., on Sunday, September 27 from 2:00-8:00 p.m. Funeral services will be held on Monday, September 28 beginning at 9:15 a.m., in the mortuary, followed by a Funeral Mass at Our Lady of Perpetual Help Church at 10:00 a.m. Committal services will follow in Resurrection Cemetery.